Price is for 3 bags. 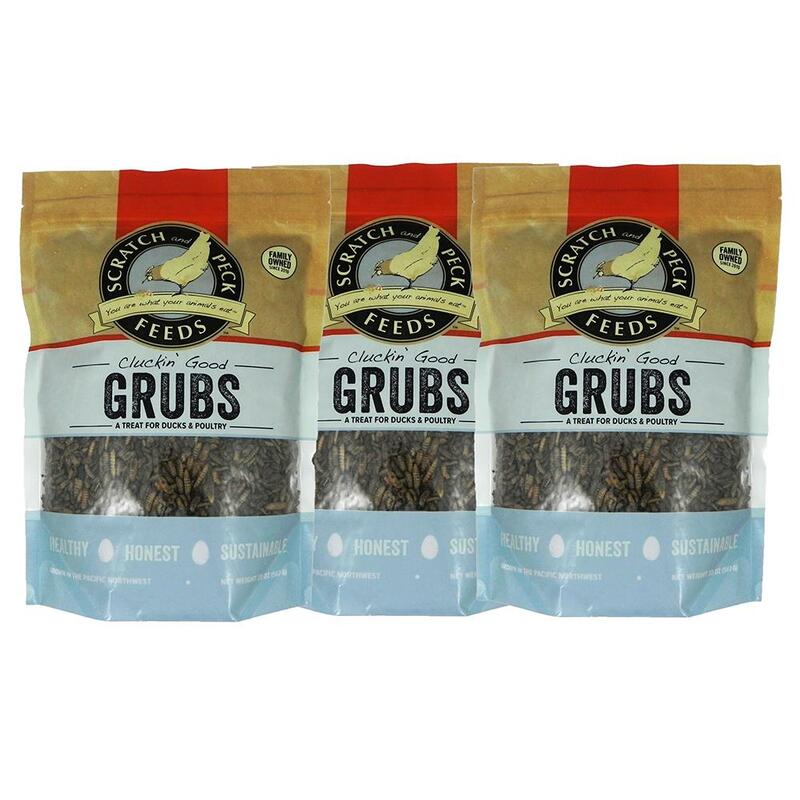 Cluckin' Good Grubs are an all natural, premium treat for chickens. These grubs are naturally high in protein and Omega 3's, and are also a great source of calcium. 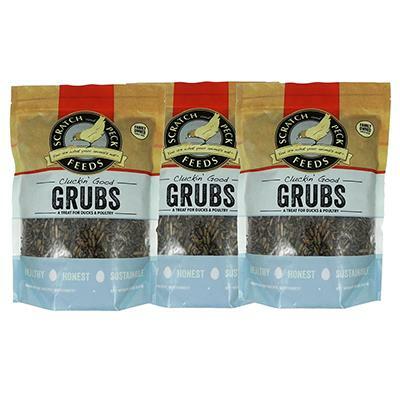 This grub mixture contains dried black soldier fly larvae, which are grown in the Pacific NW, unlike mealworms, which typically stem from China. The Soldier flies are raised on traceable, pre-consumer food waste products. This product is manufactured and packaged in the Pacific NW. Give your chickens an amazing treat they will love!! 3 - 1.25 lb. bags.